This AC WORKS brand adapter [AD650L630] is very durable with a compact design. It is a NEMA 6-50P to NEMA L6-30R. 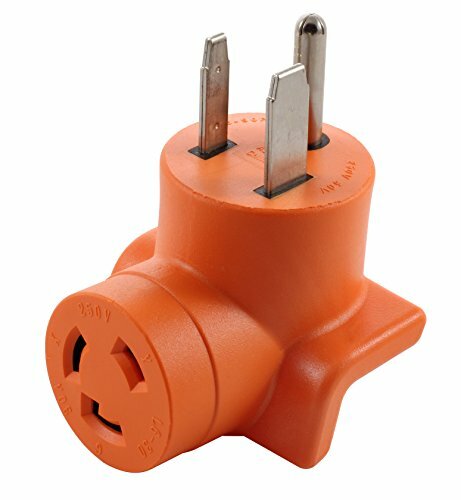 The NEMA 6-50P is a 50 Amp, 250 Volt, 3-prong male plug. It has a NEMA L6-30R is a 30 Amp, 250 Volt, 3-prong locking female connector. The product is heavy duty, compact and contains nickel-plated plugs and terminals to prevent rusting.